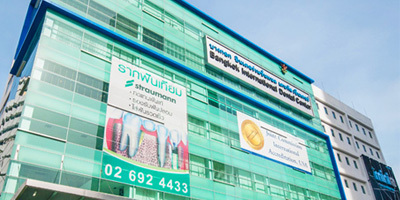 Bangkok International Dental Center (BIDC) part of Bangkok International Dental Hospital in Thailand is an official dental implant clinic in Bangkok. 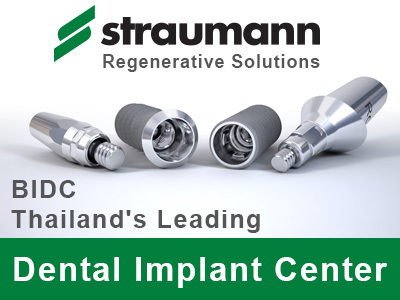 The American Based JCI Certified BIDC thailand dental implant center is ISO 9000: 2008 UKAS certified and is one of the leading as well as the largest standalone private dental center in Bangkok located at Ratchadapisek Rd. 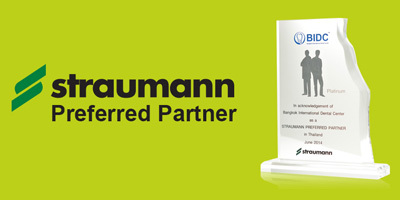 BIDC is an Award-Winning dental clinic being the first dental clinic in Thailand to have received the prestigious Thailand Prime Minister Export Award for Best Service Provider (Hospitals/Clinics) that is the highest official award bestowed by the Thai government for providing outstanding excellent quality services or products in Thailand. 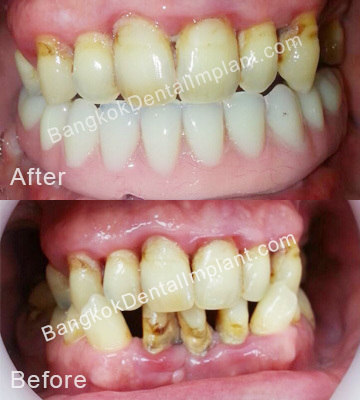 Bangkok International Dental Center is the first and only Dental Center in Thailand to be accredited by Joint Commission International, USA. 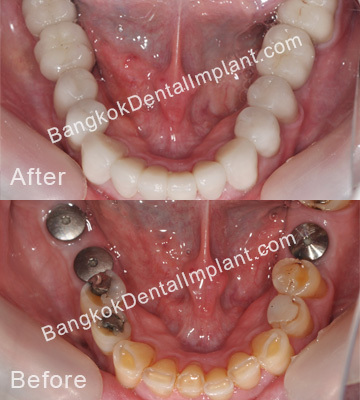 As dental tourism has grown, a larger number of international travellers are now seeking dental treatment abroad especially in Thailand as Thailand increasingly becomes more well-known for its 5-star dental services, high medical standards and dentist qualifications, advance dental technology as well as competitive dental prices. 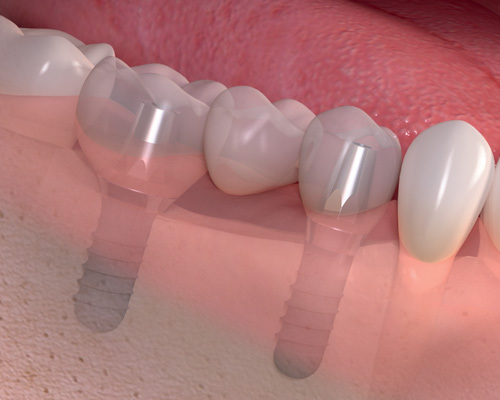 Dental implants is one of the fastest growing dentistry area overseas travellers are getting their dental treatments done in Thailand. 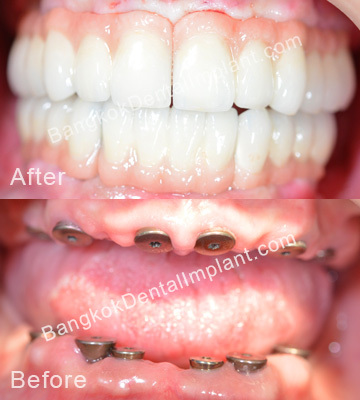 Visit our international travellers section on a guide on having your dental implant and other dental services done at Bangkok International Dental Center (BIDC). 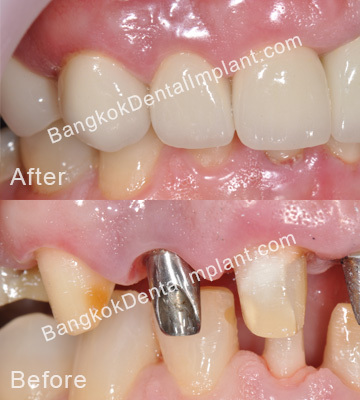 Bangkok International Dental Center (BIDC) treats and has successfully done a large number of full mouth dental implant and dental implant reconstruction cases. 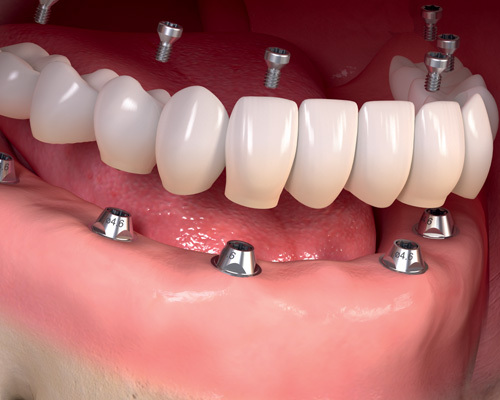 Single oral implant, multiple oral implants, full arch oral implants and full mouth oral implants are done daily at our dental implant center. 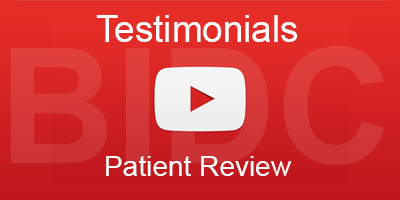 Although traditional replacement alternatives can work well, for some patients they may not be the best option. 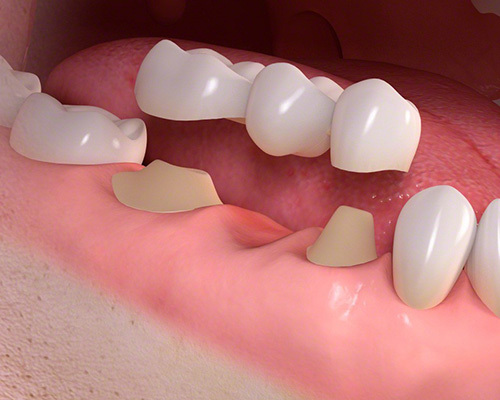 Some patients are unable to fully adapt to partial or complete dentures relative to dentures, resulting in loose denture teeth, with associated discomfort, difficulty with chewing and speech problems. 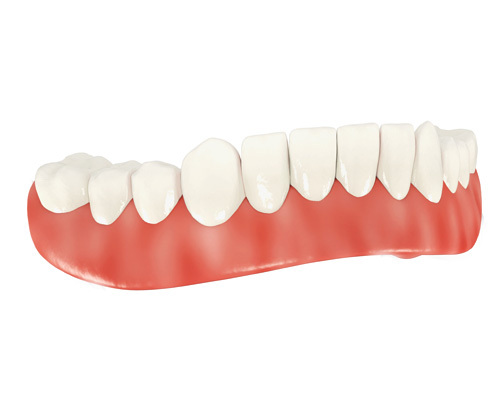 Bridgework relative to dentures often involves preparation of the adjacent natural teeth, in order to support the missing teeth. 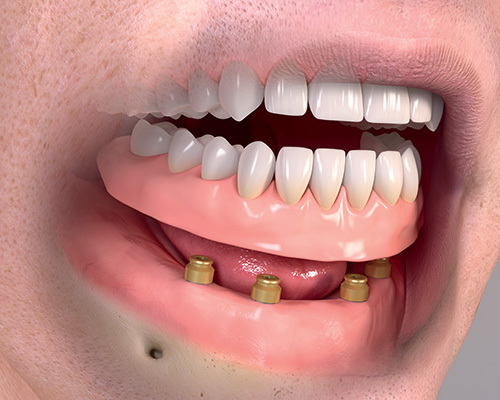 Implantology was first practised around 50 years ago and is now a well developed and predictable dental technique with high levels of success. 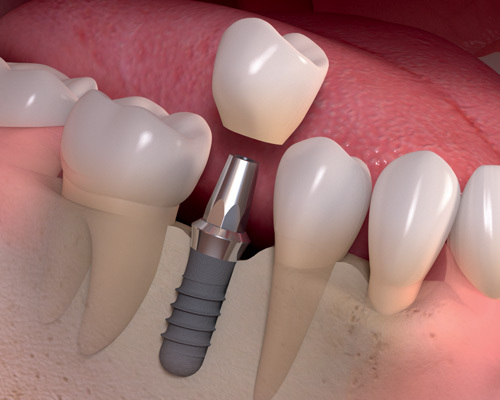 Tooth implant treatment is now regarded as the gold standard for replacing a missing tooth or teeth. 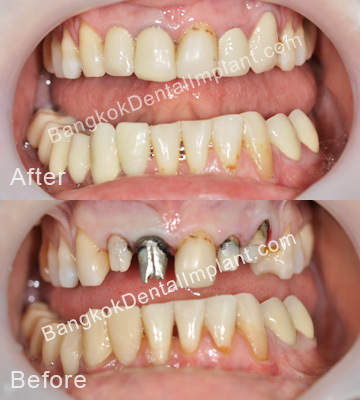 © 2005-2018 Bangkok Dental Implant. All rights reserved.